TechPinoyLogy is a blog about whats new about our technology today. 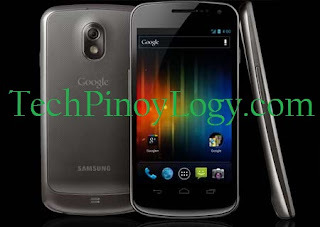 The result of Samsung Electronics and Google, the Galaxy Nexus is possibly the world's first smartphone running on Android 4.0 (or Ice Cream Sandwich), the latest release of the Android platform. This new phone features a 4.65 inch HD Super AMOLED display technology at 720p resolution and a 1.2GHz dual core processor. Ice Cream Sandwich brings an entirely new look and feel to Android. It has a redesigned user interface with improved multi-tasking, notification, WiFi hotspot, NFC support and a full web browsing experience. Galaxy Nexus features software navigation buttons, a first for Android smartphones. There's a People app, which lets you, browse friends, family, and co-workers, see their photos in high resolution, and check their latest status updates from Google+ and other social networks. The Galaxy Nexus' redesigned camera introduces panorama mode, 1080p video capture, zero shutter lag, and effect like silly faces and background replacement.